The Levorg wagon has a dynamic look, while keeping Subaru's typical strengths of good visibility and versatile cargo space. BARCELONA – Subaru expects its new Levorg station wagon to have success in Europe that eluded the vehicle it replaces, the Legacy, which was pulled from the region in 2014 because of weak sales. “The Legacy was too Americanized,” Subaru Europe marketing and sales head David Dello Stritto said at the vehicle’s press launch here. North America is the top global sales market for Subaru, which is the automotive division of Fuji Heavy Industries. Dello Stritto sees the Levorg, which at 4690mm is a bit shorter than the Legacy, as a competitor to the Volvo V60 and Mazda6 in the midsize segment. “But we are positioned higher than the Toyota Avensis,” he said. Subaru will aim the wagon as young families with a need for space, versatility and four-wheel drive, which has been one of the automaker’s trademark features for more than 40 years. 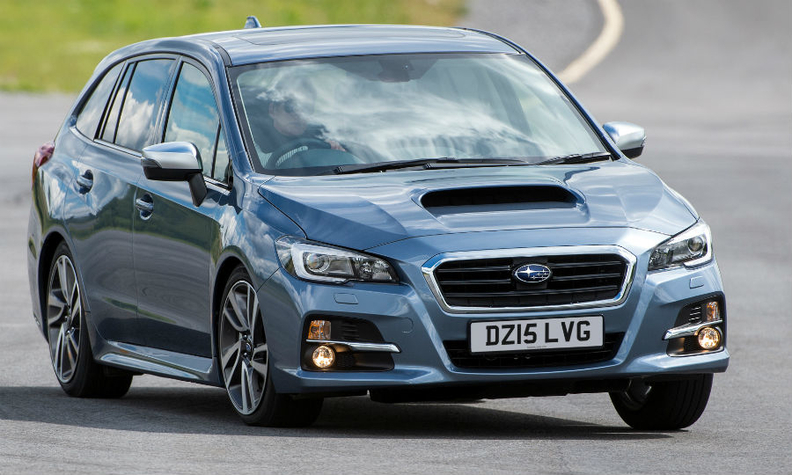 The Levorg is powered by a newly developed turbcharged engine. The 1.6-liter four-cylinder gasoline direct-injection powerplant offers 170 hp and 250 newton meters of torque. It uses 6.9 liters of fuel per 100km. Subaru does not offer a diesel. It also does not offer options such as pedestrian detection with emergency braking, and radar-based distance control with steering assist. Subaru is on track to sell about 955,000 vehicles globally in its fiscal year that ends March 31. North America is forecast to account for 66 percent of Subaru’s worldwide total while Europe is expected to account for about 5 percent, which is roughly 47,000 units. That is 4,000 sales under Subaru previous target of 51,000.